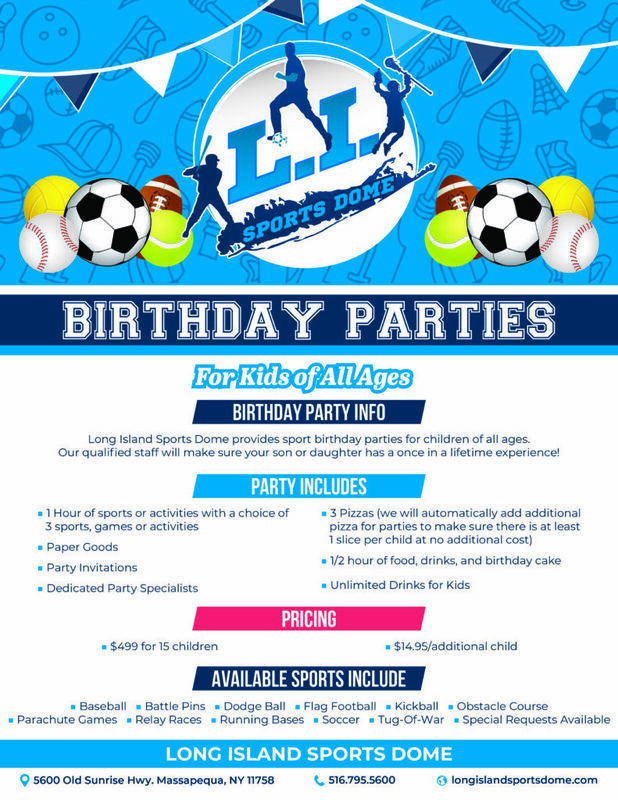 Long Island Sports Dome provides sports birthday parties for children of all ages. Our qualified staff will make sure your son or daughter has a once in a lifetime experience! Please contact us in the form below to inquire about a birthday party! Please call us at 516.795.5600 to speak with someone about availability.